Can anyone tell me why the C124SW has apparently been discontinued? That's what one dealer told me, at any rate. I should have acted when I first saw it advertised on the Washburn site. Slow sales for it and the C-111 probably. 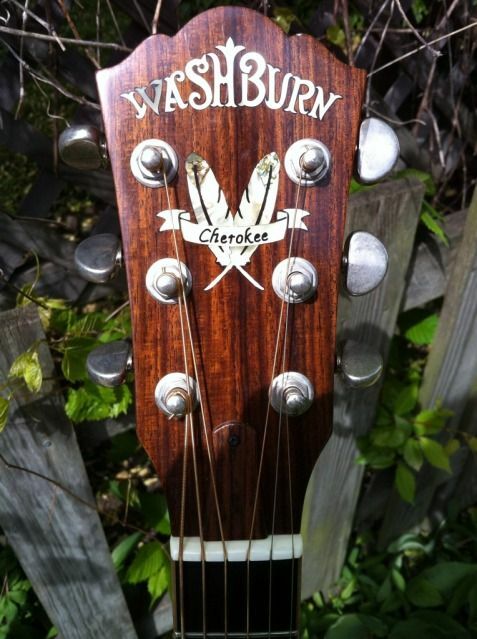 Some on line dealers may still have one or two in stock.....try DC Music....or google Washburn C-124SW. Good luck on your quest. Just wanted to say your sig brought a chuckle and a knowing smile to my face. Thanks for the response. I have tried a few on-line dealers, some of whom offered to take my deposit(!) or (better) accept my order, but none have had one in stock. I was hoping Washburn was waiting for a few more to arrive. I'm 10 miles from Mundelein- you'd think there would be a few so close to home! DC Music does list the guitar at $699 with case, but doesn't have any way to check availability online. I really like the floating arm rest....a nice feature for those who have never learned to keep their forearm away from the body of the guitar, which does seem to mute the overtones on a well-made classical. Fair warning, though.....if you follow the link, you WILL find the C124SW listed, it's the first one that appears. It sounds like from their response that they never did keep these in stock, just ordered them from Washburn once a customer placed an order. At least DC had the good faith to contact Washburn to find out if they are available before they accepted my order. You can get the same non-service by going to a Washburn B&M, they'll probably take your deposit, or even worse ask you to prepay, only to find out you'll not get the guitar from them, either. We really need for Washburn to step up with some of these very desirable models....this classical is not the only one, check the Acoustic forum for D64SW, the Bluegrass model that nobody can seem to find, either.